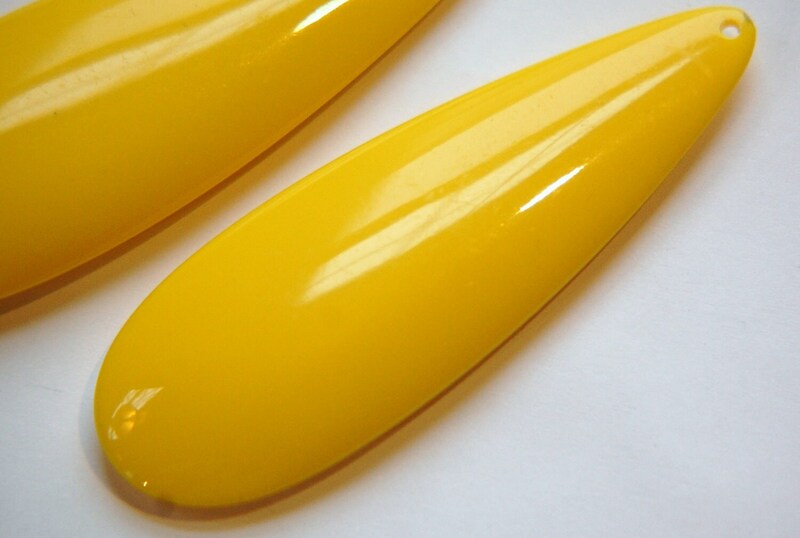 These are Very large vintage bright yellow acrylic pendants. They are a teardrop shape with a beading hole at the top. These measure 78mm long X 25mm wide X 10mm thick. You will receive 2 pieces.